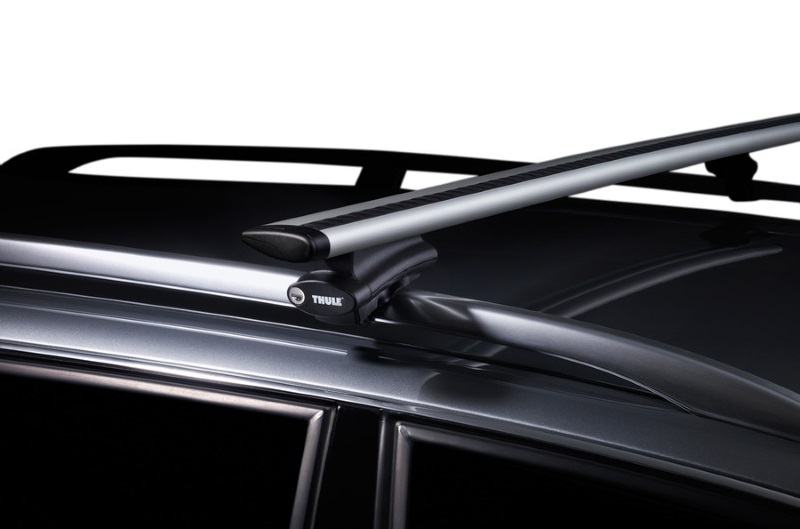 The Thule 775 is a foot pack to fit cars with raised roof rails running along the length of the roof, and will fit a range of bars with diamters between 20-68mm. The 775 is supplied in a box that contains 4 feet which connect the roof bars using a tough rubber-coated steel strap. 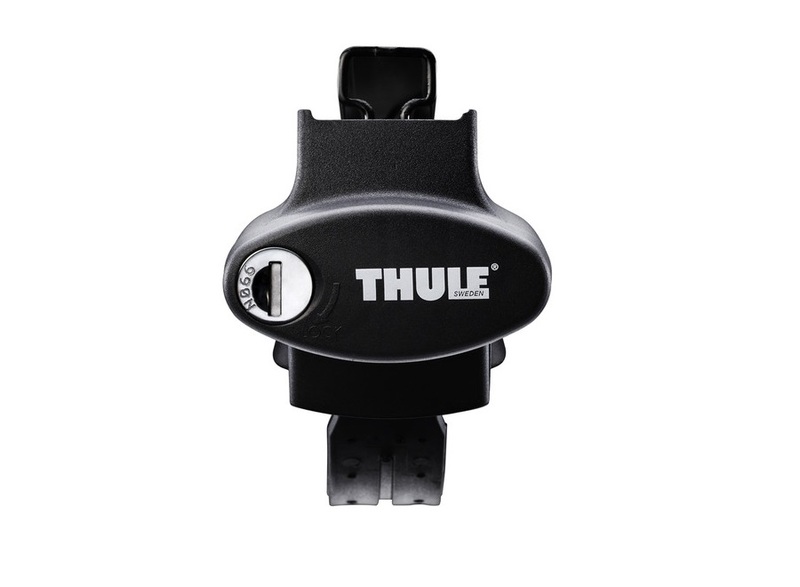 The built-in tool enables quick installation and removal from your roof rails. The 775 foot pack can be used with any Thule roof bars including Standard Square Bars, Wing Bars, SlideBars and Aero Bars. The loading capactity for roof racks using the 775 is 100kg unless your vehicle states a lower limit for the roof rack. Locks are included with the 775 so that the roof bars can be locked to the vehicle for security. Note: The 775 is supplied as a pack of 4 feet. Roof bars and fitting kit are not included. Despite its low and sleek profile this roof rack foot fits even the widest and most extreme railings with diamters between 20-68mm. Securley fixed with the rubber coated steel strap that is wrapped around the railing. We offer a delivery service for the Thule 775 Foot Pack throughout the UK & Ireland to home and work addresses. 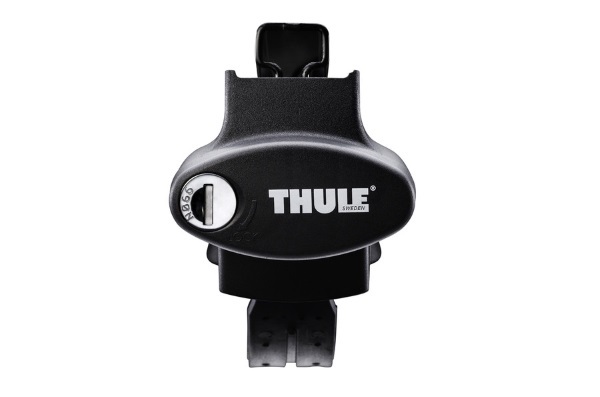 Buy a Thule 775 Foot Pack online from our website and collect from one of our nationwide branches.